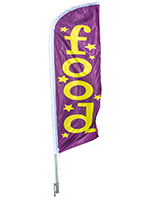 These printed seafood flags feature a ground spike for outdoor placement that can be placed in either dirt, sand, snow, or grass. 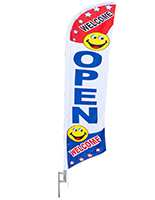 This type of banner is made of strong polyester fabric with dye-sublimation printing and a fade resistant design that is easily visible on both sides. 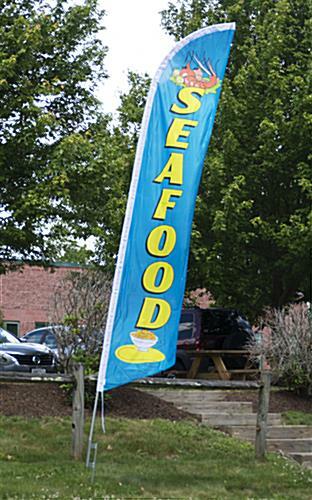 Great for stores and restaurants that serve fish, these seafood flags have bright coloring with bold yellow text for extra visibility. 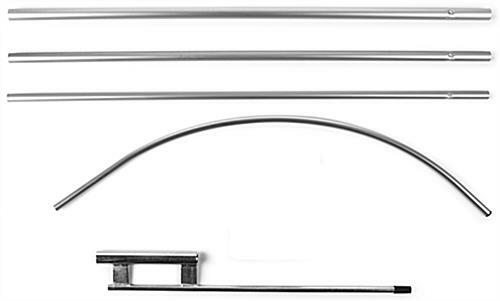 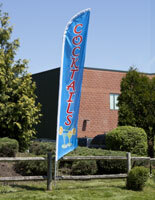 The 14' tall ground spike banners are easily assembled, making changing position a breeze. 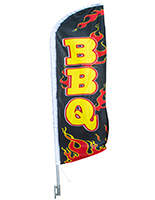 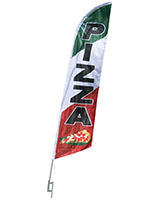 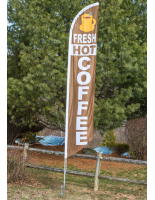 The polyester flags can withstand high winds and inclement weather making them an ideal choice for any establishment selling fish or related specialty foods.